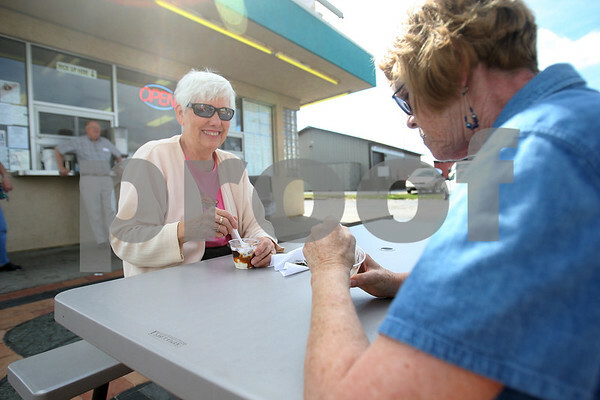 Phyllis Roush (left) and June Ehrler, of Sycamore, eat turtle sundaes together at Ollie's Frozen Custard on Tuesday, September 9, 2014. On Tuesday, Ollie’s donated 10 percent of its proceeds to Children’s Waiting Room of DeKalb County to help continue its mission. Roush and Ehrler bought their treats specifically to help Children's Waiting Room.